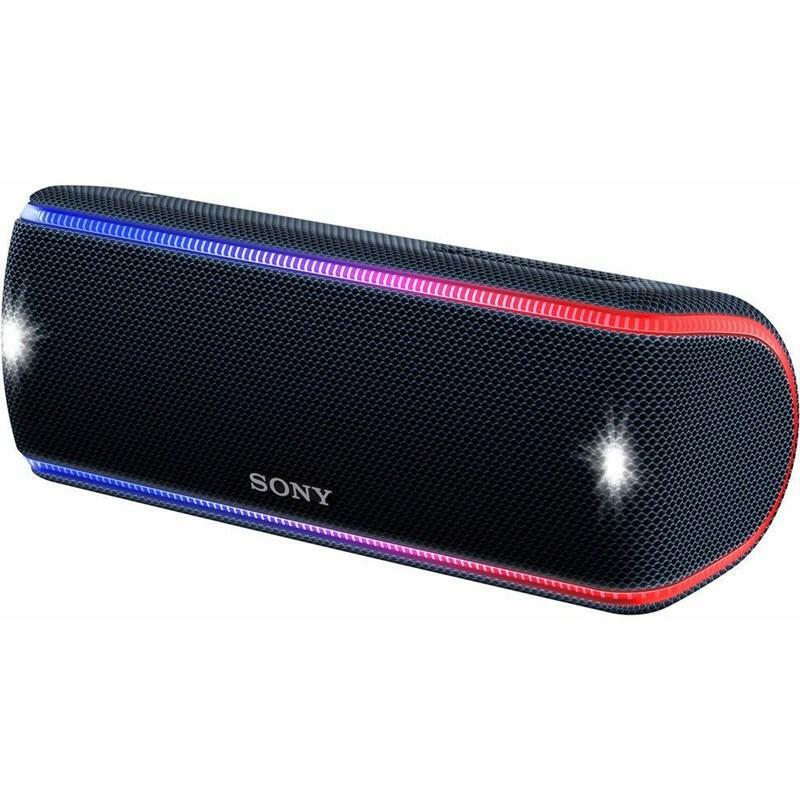 With EXTRA BASS™, party lights, speakers that replicate the sound of live music and fun features to get the party going, you can feel like you're at a festival, anywhere and at any time. Enhance every beat and give your party that extra boost thanks to EXTRA BASS™. Hear your music in a whole new way with LIVE SOUND mode. Bring your party to life with a unique three-dimensional sound experience—creating festival vibes wherever you go. The speakers of the SRS-XB21 are carefully designed to give you a real three-dimensional experience. The blue lines show how angled speakers with new DSP technology send your music to a wider area, creating a festival vibe, wherever you are. 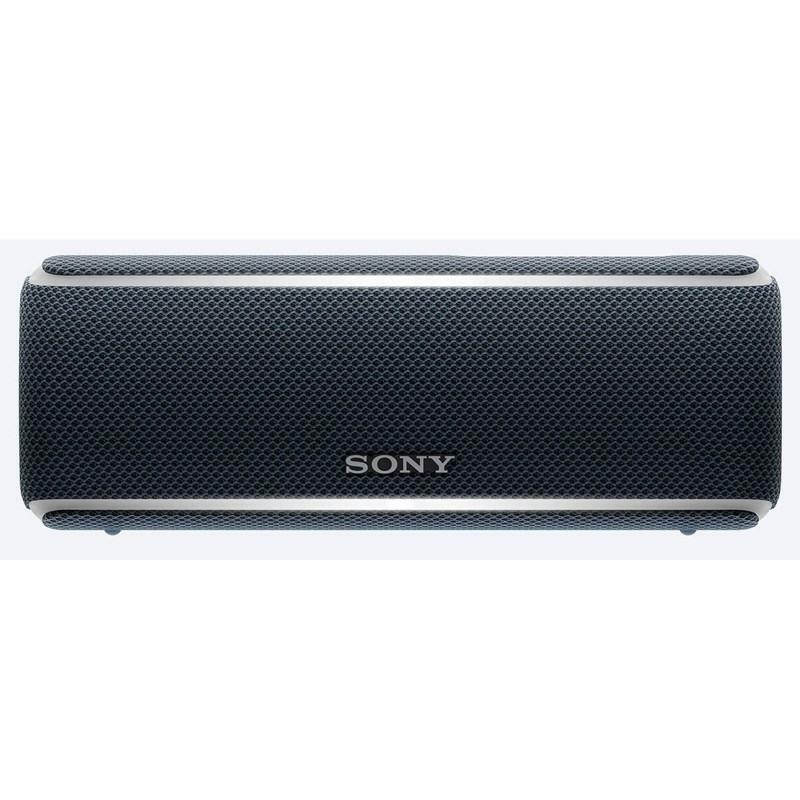 A 1.89 " speaker means a powerful sound and bass. The rigid and lightweight Mica Reinforced Cellular (MRC) speaker cone effortlessly controls the sound without losing quality, by driving power directly to your beats. 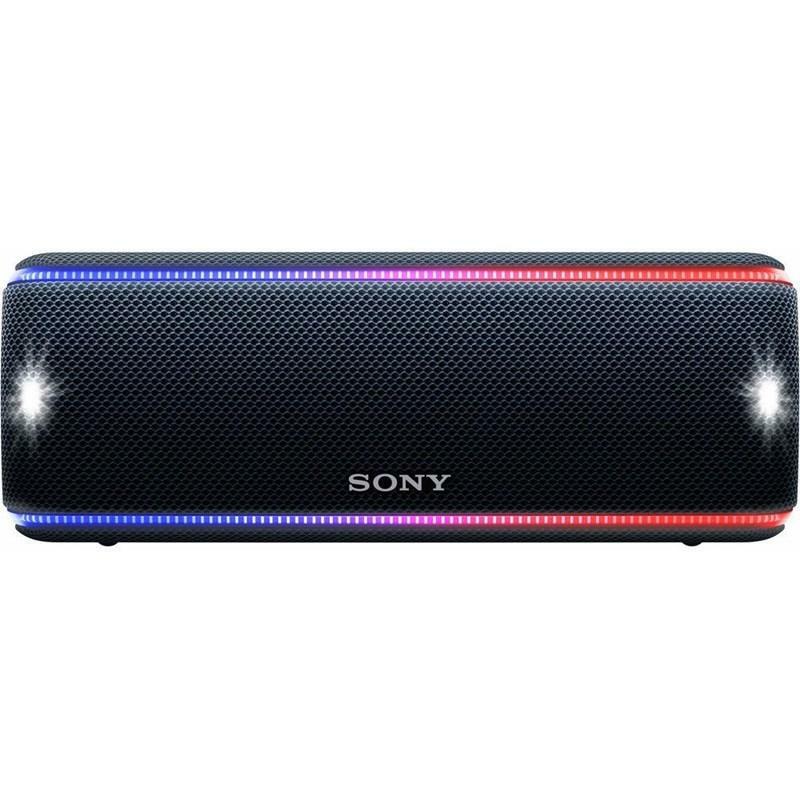 There's no fun without party lights, and the SRS-XB31's new line lights go around the speaker. BLUETOOTH® streaming with NFC™ connectivity makes it simple to stream your party playlist. Enjoy the same song with Wireless Party Chain. Connect up to 100 wireless speakers with BLUETOOTH® technology. The music and lights sync up so everyone dances to the same beat. Control the party from the dancefloor, with the Sony | Music Center app—select your favourite playlists, cue the next song and change lighting patterns and sound modes. No need to rely on a device to operate your speaker. Do everything you need with just the buttons on your speaker. Thanks to the IP67 rating, you can take your speaker to the beach, the forest, the desert or wherever you like— this device will keep on playing, no matter how dusty the surface. This portable device is uniquely rustproof, so not only does it look good, but you can also enjoy your product near the beach, but a little sea water will not rust the product. With an IP67 rating, your speaker can be immersed in water, and thanks to the high-quality fabric made exclusively in Japan, there'll be no problem rinsing it. Up to 24-hour battery means the can party with the best of them. Made with Mica Reinforced Cellular (MRC), the rigid and lightweight speaker cone effortlessly controls the sound without losing quality, by driving power directly into the air. Your smartphone running low on power? Plug into the USB port on the side to charge up the battery. 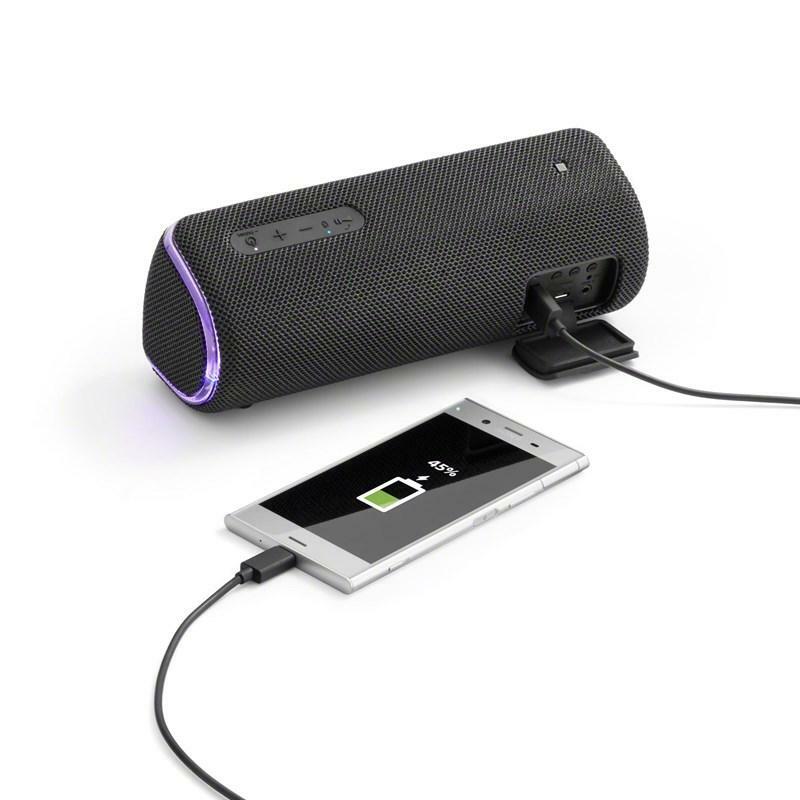 Throw the SRS-XB21 in your bag, grab your friends and start the party wherever you go. With EXTRA BASS™, live music sound and party lights it's the mini music festival that you can take with you. HDTVandElectronics has been serving Southwestern Ontario since 2008. HDTV carries brand name TV's, electronics, speakers, BBQs, and smokers from leading companies. 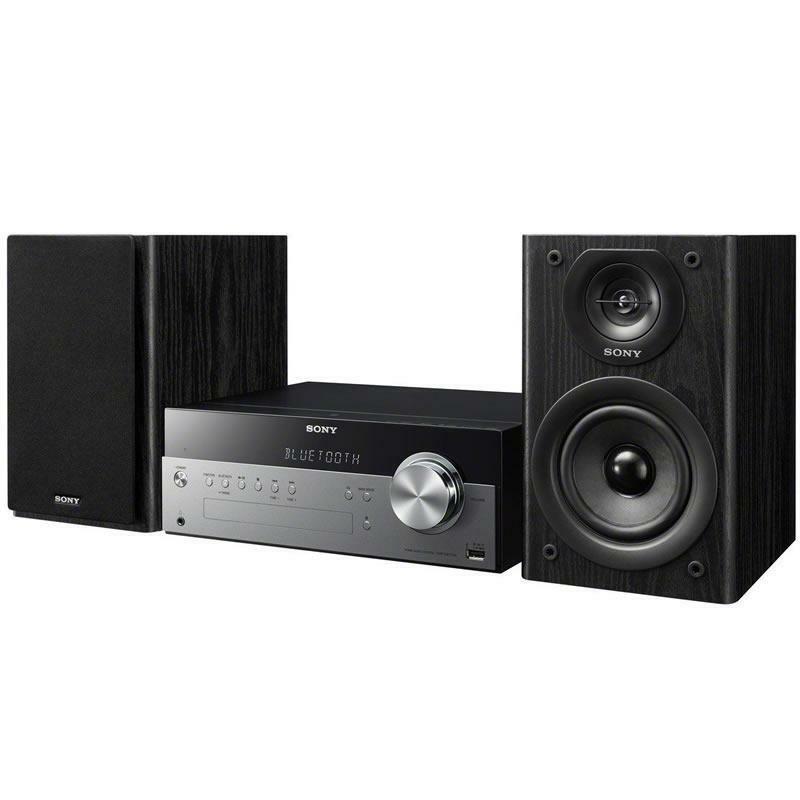 Sony, Samsung, Yamaha, Pioneer, Sonos, Fusion, Klipsch, BOSE, Nest, Por-ject Turntables, Soundcast, Braven, JamBox, UE, Sonora, Monster, Logitech, Techcraft, Go_pro, Traeger, & Napoleon. We are certain we can provide you with the entertainment solution you want! We have trained & certified staff & installers for your residential and commercial audio & video sales, service, and custom installation. 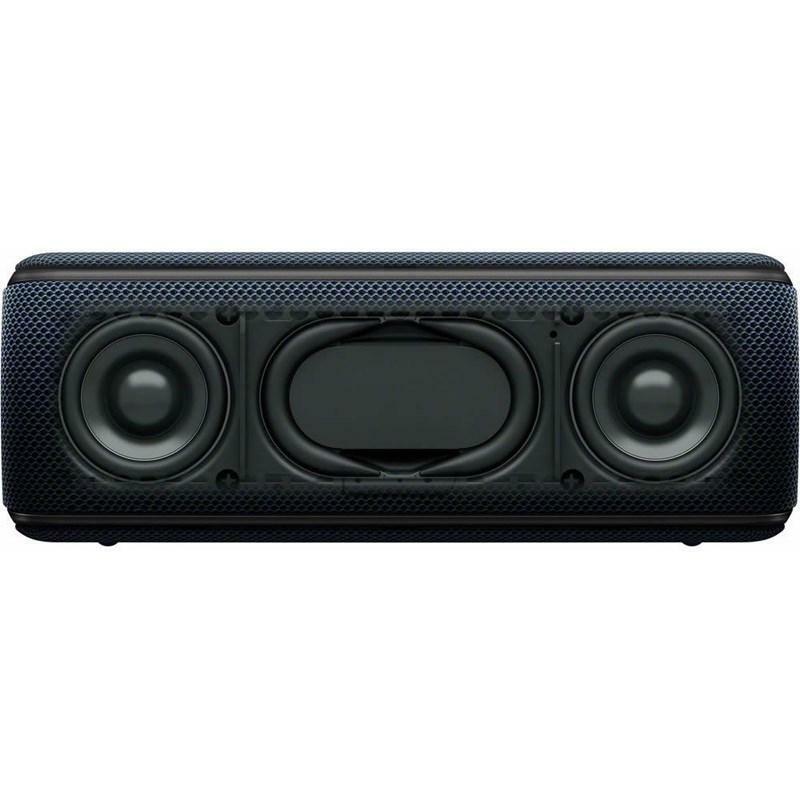 From stereo and TVs, headphones, outdoor speakers, soundbars, & remote control programming. We speacialize in custom home installtions in both new builds and renovations. © 2019 HDTV and Electronics All Right Reserved.